Dave East kept himself busy last year with the release of Paranoia: A True Story, Karma and a couple of East-mixes. Before unleashing Paranoia 2 which is due out tomorrow (Jan. 16). The Mass Appeal rapper connects with producers Nick Paps and Jahlil Beats for his latest street offering, "On God." In support of the project, East will be embarking on the "Paranoia Tour" on Tuesday. The 13-leg tour kickoffs in his hometown and is scheduled to run through Seattle on February 3rd. 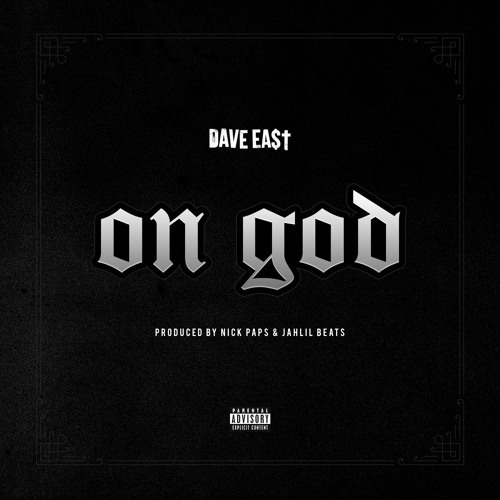 Listen to 'On God' below.